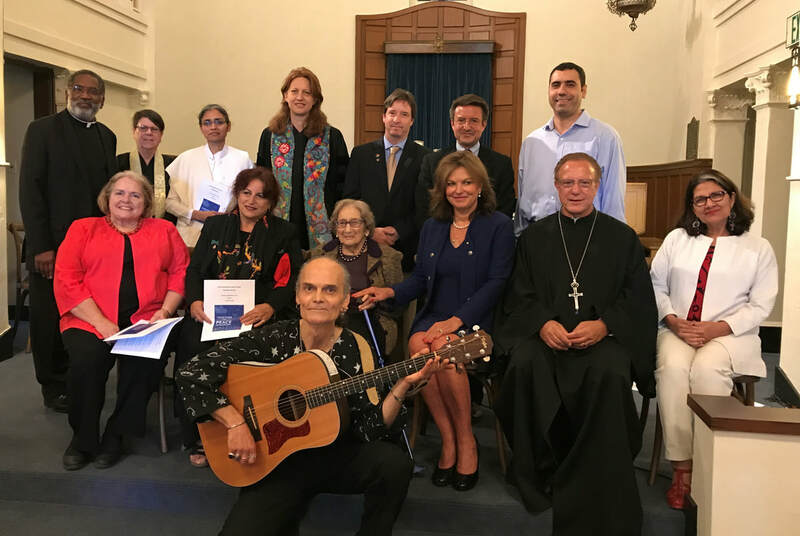 The mission of the Interfaith Center at the Presidio is to welcome, serve and celebrate the diverse spiritual wisdom and faith traditions of the San Francisco Bay Area. The Center strives to be an active force for promoting peace and ministering to our veterans and their families. Graced with a breathtaking view of San Francisco Bay, the Presidio Main Post Chapel maintains the military legacy of serving all religious traditions and is a memorial to those veterans who honorably served their country and now rest in the adjacent San Francisco National Cemetery. Many are commemorated in the plaques that adorn the walls of the chapel. 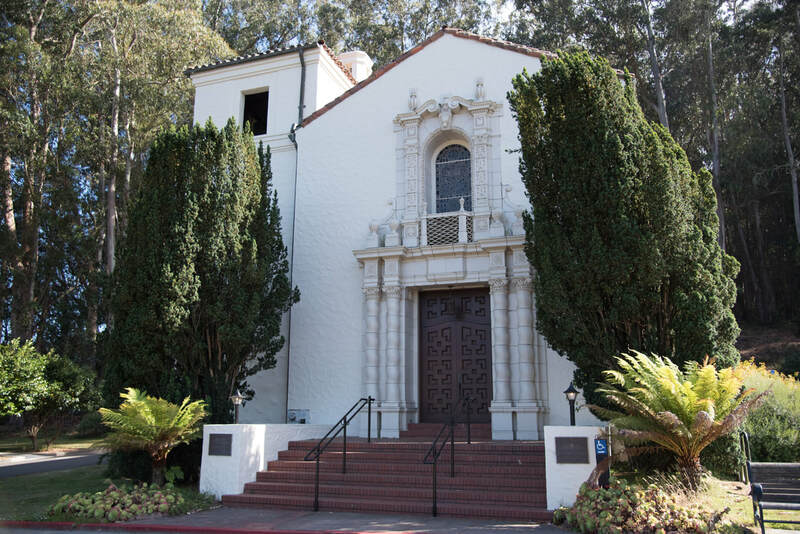 Built in 1931 by the U.S. Army, the chapel's Spanish Colonial Revival architecture features arched stained-glass windows, a magnificent fresco, a high ceiling with redwood beams, wrought-iron chandeliers and lovely oak doors. Originally serving as a nondenominational military chapel, it now serves as the home for interfaith worship. 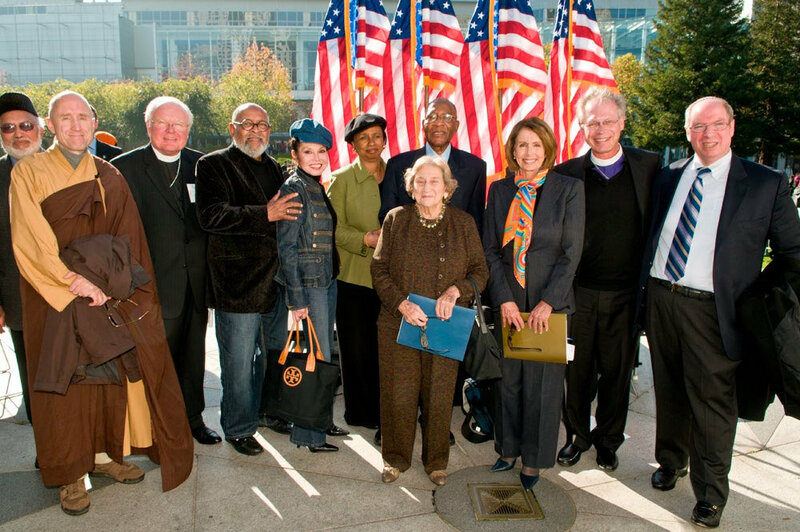 “I can’t think of anything more important in these times than restoring the Presidio Chapel as a beacon of interfaith peace, to honor those who have served and those who have died in service to our democracy, and to build a gallery to share the stunning McDonald Peace Windows with the world." We host a variety of special interfaith programming at the chapel including interfaith and veterans services, concerts, author readings and docent tours. Check out our calendar for programming that interests you!